A class of 90 students catch their breath while attempting the tree pose, a foundational balance yoga pose that improves focus. Most participants were first-timers to piloxing. Some 150 students and staff streamed into the Sports and Recreation Centre (SRC) sports hall decked out in colourful outfits. Everyone was in high spirits as the speakers pumped out hit songs by Korean pop group Blackpink. The instructor emerged and amid excited chatter, began teaching the dance moves to Solo by Jennie. This would be the group’s first Kpop x Fitness class this semester. Just one of the four exercise classes offered from now till 18 Apr at the SRC -- the other classes are yoga, pilates, and piloxing or a combination of pilates, boxing and dance -- this is part of an ongoing collaboration between the SRC and the Health Promotion Board (HPB). The programme, called “Healthy Campus@NTU”, is part of the university’s oneNTU ECHO Initiative, launched by NTU President, Professor Subra Suresh on 27 Aug last year to promote healthy lifestyle practices and enhance the NTU community’s quality of life. ECHO stands for “Eco-friendly”, “Connected”, “Healthy” and “oneNTU”. Participants will get the chance to try different workouts each day. Kpop x Fitness is offered on Mondays, yoga on Tuesdays, piloxing on Wednesdays and pilates on Thursdays. Lessons are held weekly, from 6pm to 7pm at The Wave @ SRC. 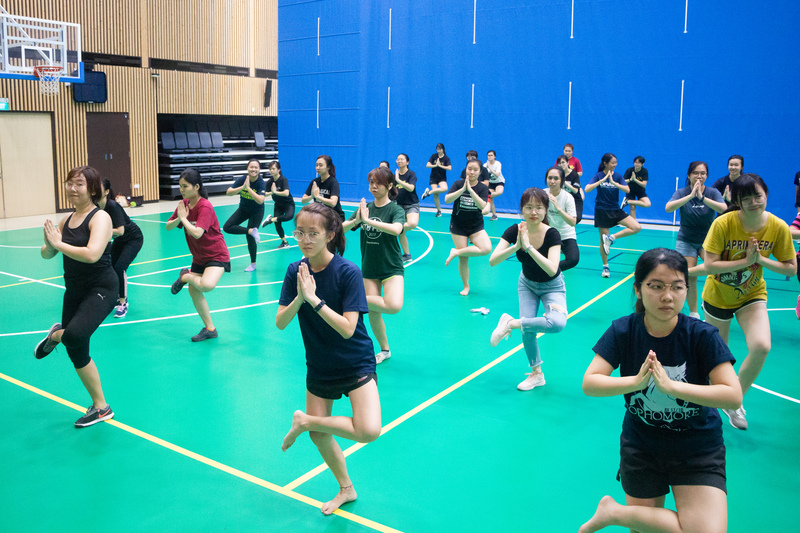 This is a new selection of exercises compared to the programme’s offerings last semester; there were also fewer classes then, according to Ms Tan Aik Na, Vice President (Administration) of NTU. “To encourage more people to take part this semester, we have raised the frequency from two to four times a week and are offering more popular exercise choices,” she added. Participants the Nanyang Chronicle spoke to were intrigued by the class. Freelance piloxing instructor Anirah Jaffar demonstrates how to do a jab, a classic boxing move. Piloxing is a high-energy interval workout that incorporates elements from pilates, boxing and dance. This class helps to strengthen participants’ core muscles and improve their balance. Some students, however, quipped that they were less musically inclined. Sarah Lanz, a Masters exchange student from Germany felt the same way. “It was good, just different from what I expected. 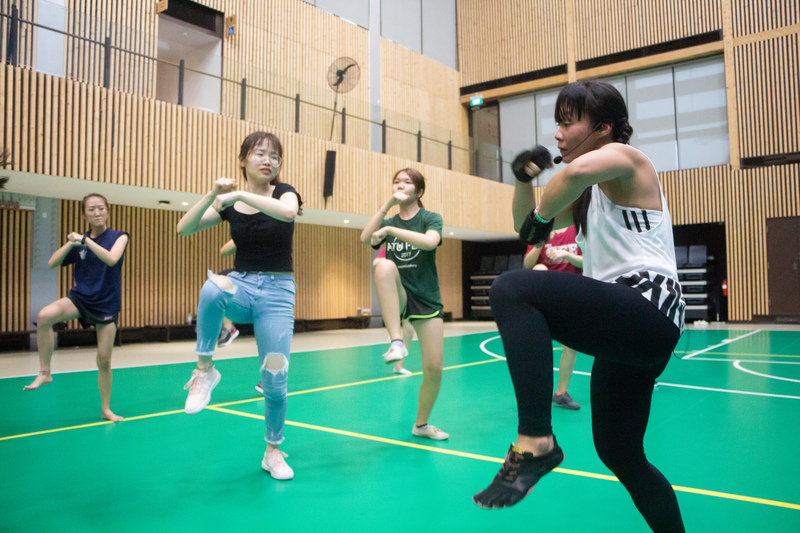 I expected it to be like Zumba, with easier moves” the 26-year-old School of Art, Design and Media student said. However, Lanz said she also felt like she “achieved something” by successfully learning the whole choreography for the song’s chorus. 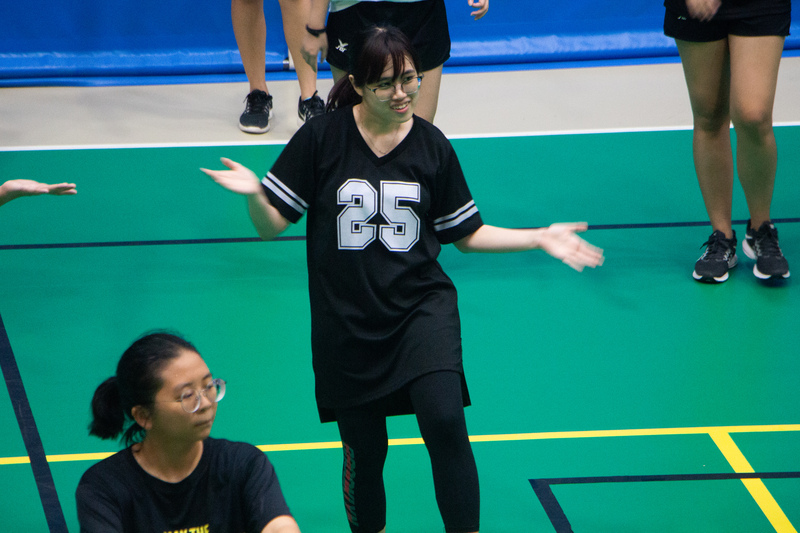 The SRC organiser in charge of the programme, Ms Ivyna Tan said the K-pop fitness class incorporates “popular Korean dance moves, aerobic moves”. She aims to bring feedback from students about these classes back to the HPB as the semester progresses. The piloxing class, held on Wednesdays, is another big draw, with its lively music and aerobic moves. Piloxing is a cardio-heavy fusion between pilates, boxing and dance. The class kicks off with a series of dynamic warm-ups, including squats, single-handed jabs and leg kicks. The intensity is then amped up, with participants throwing faster jabs while lunging front and back. Varsha Gurumurthy, 21, found the session to be enjoyable. The third-year student from the School of Chemical and Biomedical Engineering was one of the 90 participants in the first piloxing class this semester. There were also moves that resembled pilates, which involved slower actions requiring more balance and core muscle strength. First-year School of Humanities student Chye Ping Xuan puts her balancing skills to the test during her first pilates session. “My muscles were quivering by the end of the session,” she said. After the session, Radin Jan, 22, said: “It was definitely a good workout. I would rate the intensity level as seven out of ten”. Another student who enjoyed the session was Haw Chee Yeng, a second-year student from the School of Materials Science and Engineering. “Overall it was fun, and everybody is still quite cheerful after the class even though it was tiring at times,” he said. Anirah uses upbeat pop music throughout her hour-long sessions to keep participants on their toes. She works with the Health Promotion Board to spread her love for piloxing to the masses. This is not the first time that NTU has collaborated with HPB. Previous collaborations include a oneNTU ECHO Carnival last year at the North Spine, and the National Steps Challenge where HPB staff would distribute free step trackers to students on campus. 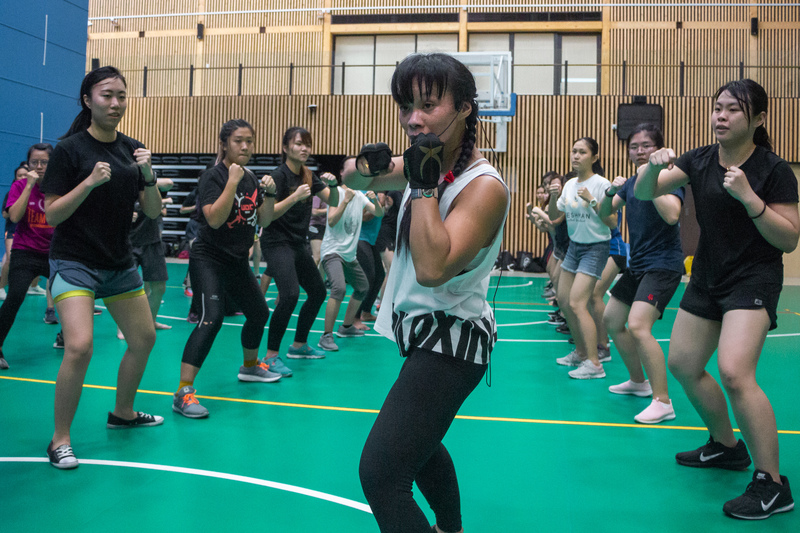 In a separate collaboration between NTU and Abvolution, there are plans to offer classes such as spinning and CrossFit. The classes will be based on sign-ups and on a co-payment basis.